EGE now offers IECEx-certified signal processing units for its growing range IECEx-approved two-wire sensors. The certification helps with exporting the intrinsically safe sensors to many countries around the world. Machine manufacturers and plant engineers can now use them in applications where they were previously barred or had to be specially certified in a tedious process. 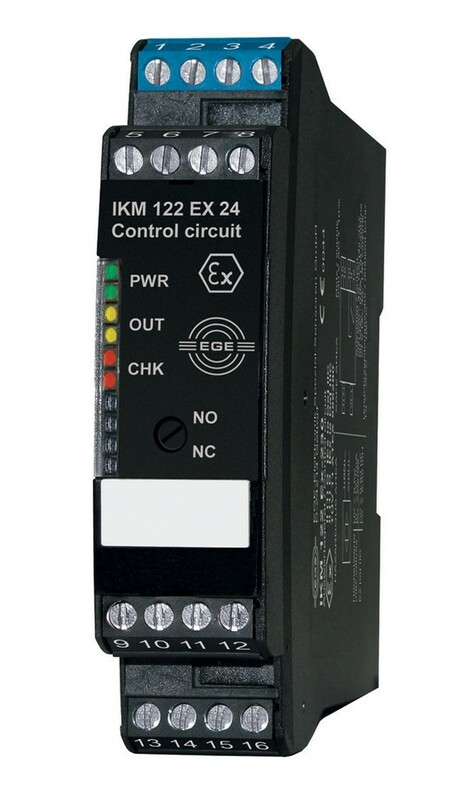 The type IKMb 122 Ex signal processing units connect to intrinsically safe EGE two-wire sensors for hazardous gas and dust atmospheres. They have a space-saving, 22mm wide DIN rail housing and are installed outside the hazardous area. Green, yellow, and red LEDs on the front indicate operating status and signal alarms if the integrated cable breakage detection or short-circuit monitoring is triggered. The output can be set as normally closed or normally open.